Cut the Flat Iron Steak into very thin slices against the grain. Add the sliced beef to a small bag with the coconut aminos, ginger, and garlic. Let marinate for 1 hour in the fridge. When you are ready to cook, drain the beef from the marinade but reserve the liquid for later, this will be the stir fry sauce. Blanch the broccoli for two minutes in boiling water, then drain it really well. 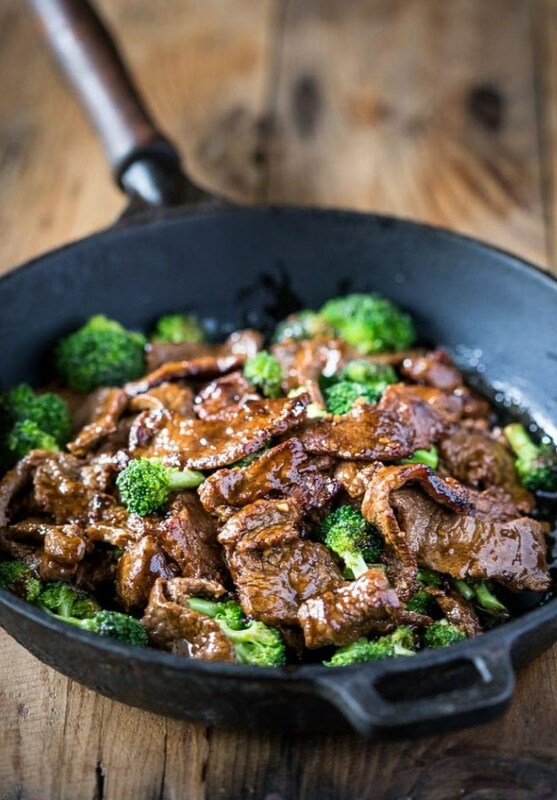 In a large wok or cast iron skillet, heat oil over medium-high heat then stir-fry beef until browned, 1-3 minutes. Remove from skillet. Stir-fry broccoli until crisp-tender, for about 3 minutes, then add the remaining marinade and cook for two more minutes. Return the beef to the pan with the broccoli and warm through, add the fish sauce and toasted sesame oil, then serve hot.